I Shall Not Die, But Live is MLC’s newest devotion book. 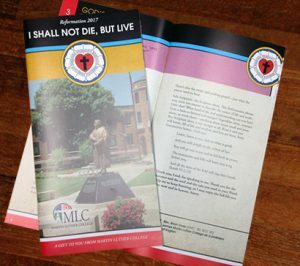 As we celebrate the 500th anniversary of the Reformation, please accept this devotion booklet containing thirty-one uplifting messages as a gift from the Martin Luther College campus family. We pray that our Lord would strengthen your faith through his Word.